DPS Suspends Use of New Handgun Over "Concerns"
The Texas Department of Public Safety has stopped using its newest service firearm after state trooper recruits who were the first to use new Smith & Wesson M&P 9 mm handguns reported "concerns" about the weapon. 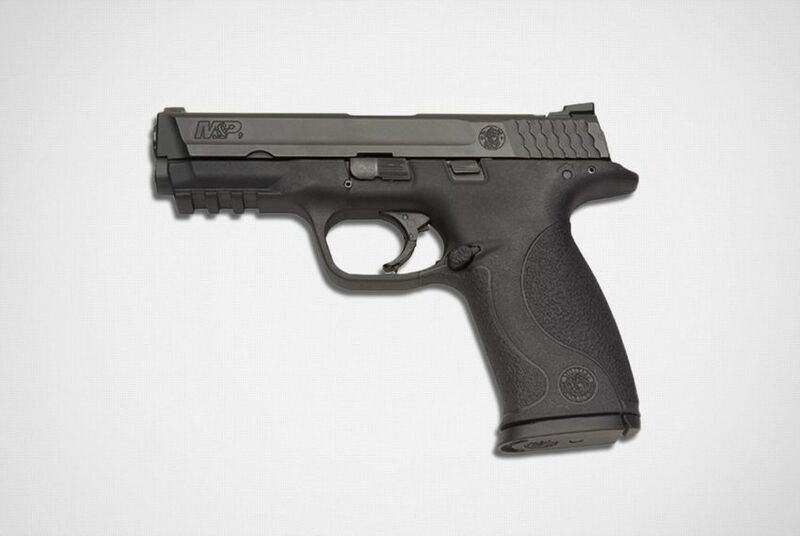 The Texas Department of Public Safety confirmed Wednesday that it has stopped using its newest service firearm after “concerns” were reported by state trooper recruits who were the first to use the new Smith & Wesson M&P 9 mm handgun. A spokeswoman for Smith & Wesson had no immediate comment on the gun’s performance at the DPS training academy in Austin. DPS announced last year that it was switching to the lighter 9 mm handgun with this year’s 114-member recruit class, which started training on Jan. 16. The 9 mm handgun replaced the .357-caliber SIG Sauer P226 pistol at the agency’s training facility in Austin. Vinger said no money was paid for the guns. Instead, the agency traded 120 SIG Sauers for 120 of Smith & Wesson’s newer guns. They will use, for now, the SIG Sauer P226 pistol. The agency says that it will not cost any additional money to outfit the recruits with the older gun. The agency decided to halt the use of the new handguns after a couple of the weapons experienced slight movement of less than 10 microns after repeated firing of about 3,000 rounds, Vinger said. A micron is one-millionth of a meter. Movement in a gun could affect accuracy. There were also bullet “feeding and ejection” issues. None of the performance issues resulted in any injuries. And so far, DPS has not been able to replicate these issues in subsequent testing, Vinger said. These “concerns” were first reported as “malfunctions” last Friday by the gun news site TheTruthAboutGuns.com. “We have been experiencing malfunctions during Recruit School firearms training, which is unacceptable and I have suspended the transition to the Smith and Wesson M&P 9mm,” an unidentified DPS source told the website. The older SIG requires a harder pull on the trigger when fired for the first time, compared to the amount of pressure needed to fire the newer Smith & Wesson, Nick Leghorn, the website's testing and reviews editor, told the Tribune. Leghorn said there could be many reasons why recruits could have issues with the newer gun. It could be an ammunition problem or merely unfamiliarity with the new weapon. “It could be a training issue,” Leghorn said, adding that both guns are popular among several law enforcement agencies around the country.